The TV is no longer limited to your television set. It has spilled over into our mobile devices as well. From the Spectrum TV app to Hulu, there are a ton of options for entertainment enthusiasts. Most of these applications are thoroughly thought out and designed, so there are fewer bugs. While Android apps are often a bit temperamental, the App Store has higher standards. iPhone users prefer to use sleek, well-functioning apps that have an excellent interface and user experience. For this reason, apps that are not up to the mark tend to receive low ratings on the App Store. Lets briefly discuss the merits of each app. Netflix is popular for offering one of the best content selections in the United States. The app has really upped the entertainment game in recent years. For a monthly subscription, you can get access to tons of TV shows, movie titles, and Netflix originals. The app also has older shows like Friends and Its Always Sunny In Philadelphia among a huge selection of newer ones. Some of the most popular shows on Netflix are Dark Mirror, Game of Thrones and The Crown. That’s not to mention the outstanding Marvel shows like Daredevil, Luke Cage and Defenders. 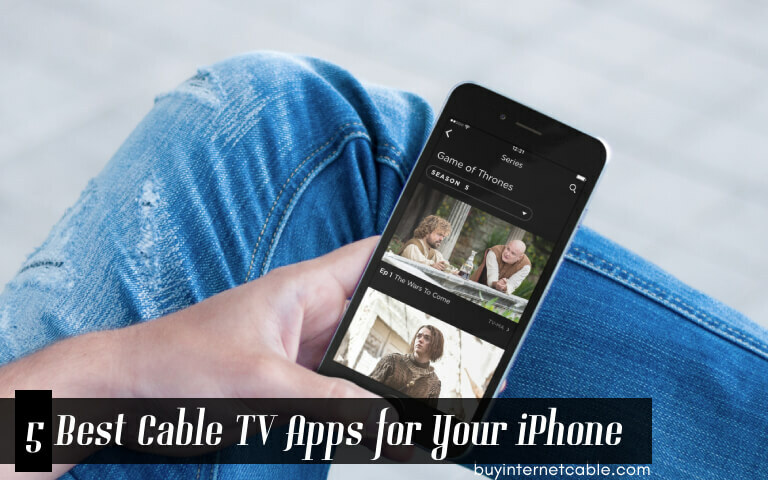 One of the best alternatives to cable TV apps on iPhones. This is another popular choice for Americans when it comes to streaming entertainment. Hulu features a number of recognizable titles like South Park, Modern Family, Empire, and SNL. It also features some well-known contemporary originals like the dystopian The Handmaid’s Tale. One thing Hulu does differently from Netflix is offering live TV channels on certain devices in addition to its content library. Hulu carries many titles that you won’t find on other streaming apps. This is one of the reasons for its huge popularity. The app is free to download for iPhones but you need to pay a monthly subscription to be able to use it. The first month is a free trial period you can use to figure out if you like the app or not. The Amazon Prime app is one of the more popular alternatives to cable TV apps available on the App Store. It currently has over 100 million subscribers globally. The reason why Amazon Prime is so popular is that it offers a lot of Amazon-specific benefits. It lets users access Amazon’s streaming service, with a massive library of movies and TV shows. Amazon Prime subscribers also get all shipping charges waived on all purchases from Amazon. What’s more, Amazon Prime offers special discounts on Prime Day to all Amazon Subscribers. At $119 annually, many would say the app is a bargain, especially when considering free shipping as long as you subscribe. Amazon Prime offers a 1 month free trial period to let you decide if you want to subscribe to it. Dish Anywhere is a great cable TV app to have for any TV junkie. It lets Dish subscribers access all their subscribed channels right on their iPhone. This is not affected by your location, whether you’re traveling or at home. It also has a very well designed TV guide, keeping you in the loop concerning your favorite shows’ air dates. You can easily manage your DVR through the app, including scheduling, recording and deleting content. Most importantly, you can access recorded content right on your phone through the app. One great thing about the app is that it lets you stay updated on your favorite sports teams. You can follow specific teams, get live score updates and get more information. It covers all major professional leagues like the NBA and NFL as well as college leagues. This is a great app to have on your phone if you’re a Dish subscriber. This is the final app on our list. The app serves a very big customer base. It is the preferred provider for three companies that have now merged into one. TWC, Charter and Bright House Networks have all come together to create a great, well-rounded app that works great. It offers a massive selection of almost 300 channels, as well as an on-demand content library of 25000 titles. 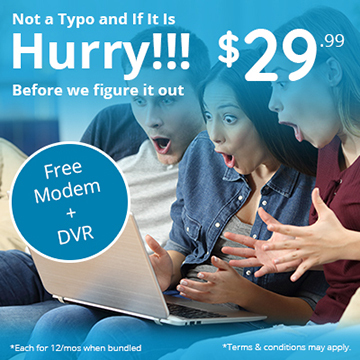 The entire channel and on-demand title library are available only when connected to your Spectrum home Wi-Fi. But you still get access to almost 17000 on-demand titles as well as 120 channels on the go. There is also an excellent TV guide as well as the ability to control both your DVR and set-top box. For people who are constantly losing the remote, the app will let you use your iPhone as a remote control for your TV. Now would be a good time to check if you can get Spectrum in your area, even if only for the Spectrum TV app. Next PostNext What Channel is ESPN on Spectrum Charter?